You will find this old farmhouse dating back to 1900, just outside of the beautiful village Eben im Pongau in Salzburg. The owner has created a stylish apartment with reserves of original features. Very spacious, with two bedrooms upstairs and a very large kitchen with an adjoining room on the ground floor The house lays by a quiet uphill road, near the connecting road to Eben. This location is perfect for winter sports fans who enjoy variation. 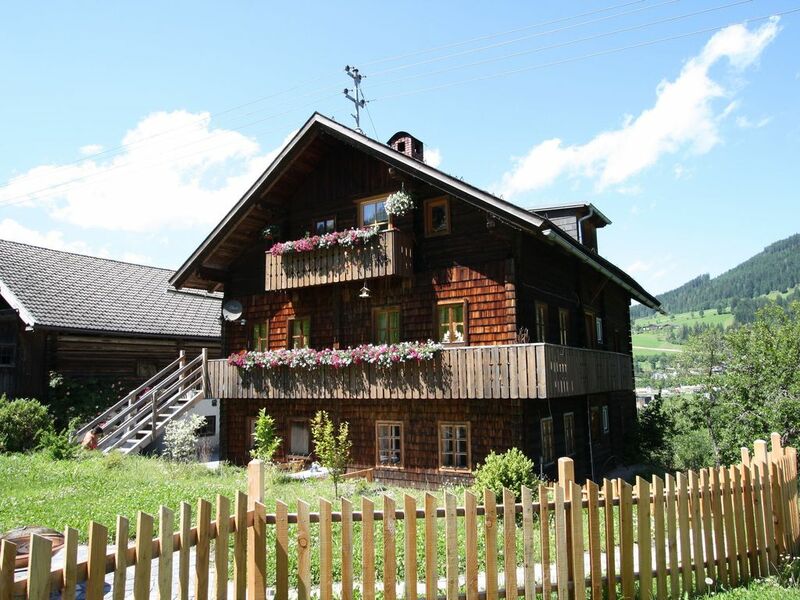 From this holiday house you have the choice between three large skiing areas (SkiAmade Flachau 8 km away, Dachstein West St. Annaberg 18 km away and the Hochkönig ski resort in Muhlbach 35 km away). The region is also extremely attractive during the summer, with a wide range of activities and trips. Lake Eben, surrounded by a grassy beach, is highly recommended for children. The first floor apartment is equipped with a complete kitchen and cosy living room. The two bedrooms both have access to the large bathroom.